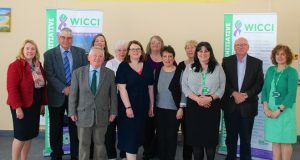 WICCI Launch a great success! 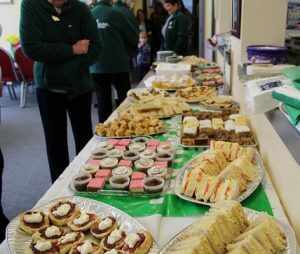 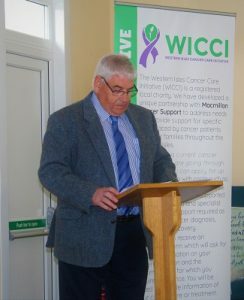 On Saturday 5th May, many gathered at the Lewis Retirement Centre to officially celebrate the Launch of the Western Isles Cancer Care Initiative. 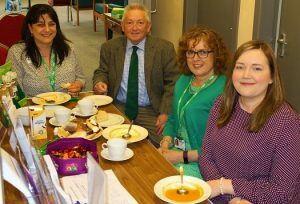 The relaxed event included some presentations from Donald Macleod, WICCI Chairman and Janice Preston, Macmillan Cancer Scotland Manager. 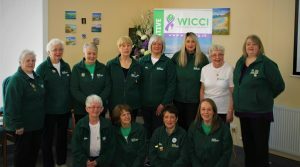 Both presentations were informative and gave a bit of background as to how WICCI has come to fruition and the hopes for the future. 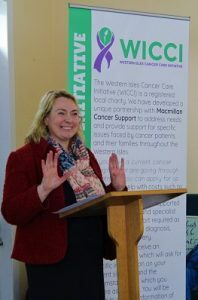 Helen Sandison, WICCI Development Manager, then outlined some information about the Social Fund and Application Process, highlighting that to date, WICCI had approved 14 applications and awarded £6690. 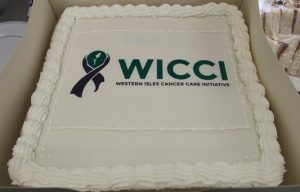 Those present were encouraged to spread the word about WICCI through Social Media and through the recently launched Website. 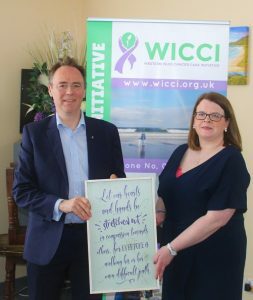 At the end of the speeches, Alasdair Allan MSP officially ‘opened’ the WICCI Project and presented a plaque on behalf of Helen to the Trustees in recognition of their hard work and determination to get WICCI to this stage after years of planning and negotiations. 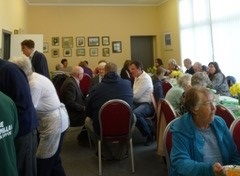 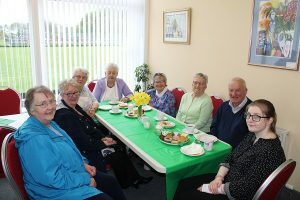 Following the official proceedings, a delicious lunch was served, prepared by the ladies from the Isle of Lewis Macmillan Fundraising Committee. 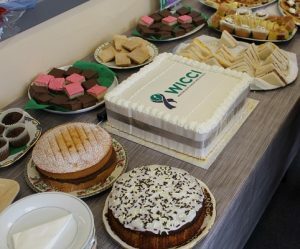 Your ticket for the: WICCI Launch a great success!